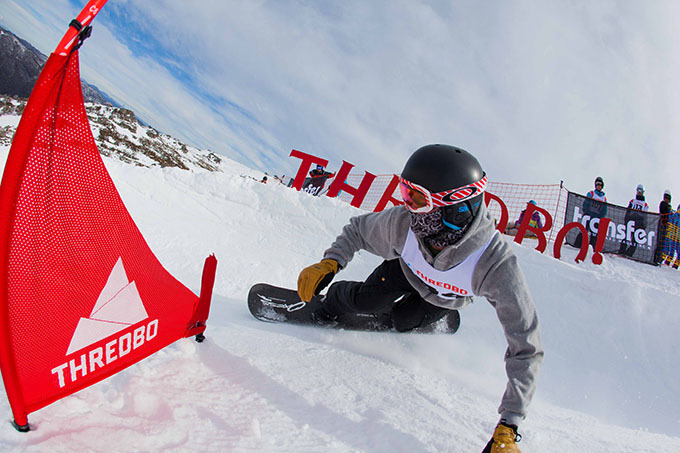 The Inaugural Transfer Banked Slalom, “A Tournament of Turns”, was written into Australian Snowboarding history yesterday at Thredbo Resort. Thankfully, the weather held out and the day broke bluebird and cold, making for an incredibly fast and technical course. A diverse field of 165 competitors – aged from 5 – 55 – riding all manner of snowboard craft raced through the course in a relaxed two-run timed format. A roster of International names made an appearance, including Lib Tech’s Jason Robinson and Thredbo’s newest ambassador, Torah Bright, who each took out top honours in the Open Men and Open Women class respectively. Special thanks go out to Thredbo Resort and our event supporters: Lib Tech, GoPro, Oakley and Corona. Shout outs also to Reuben Cameron, Matt Galina and all the crew from Thredbo Terrain Parks who hand sculpted the best Banked Slalom course Australia has ever seen. Official results are available below, a full event recap with photos and video will be available in the coming days.